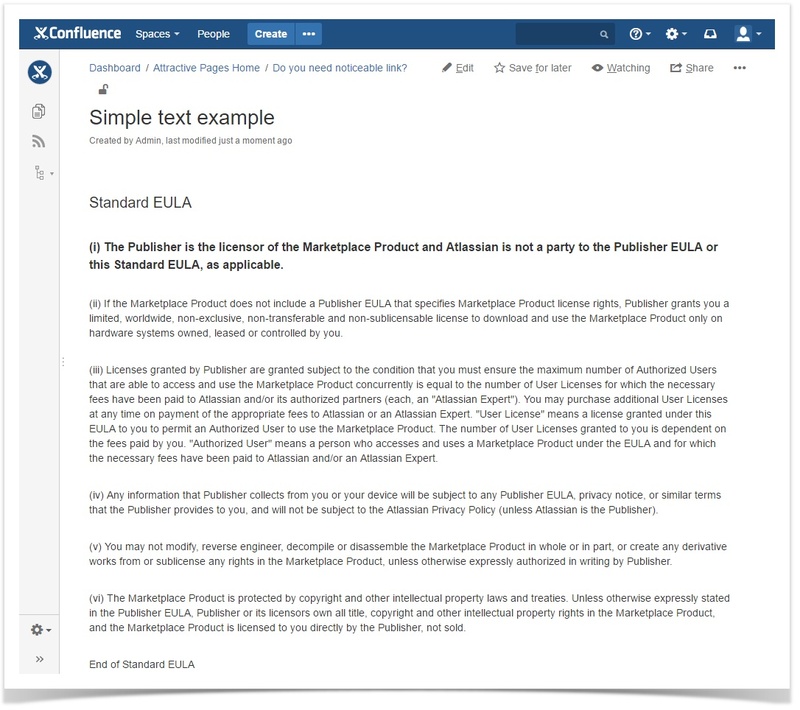 Last week we presented you with our Confluence favorites of the second quarter. 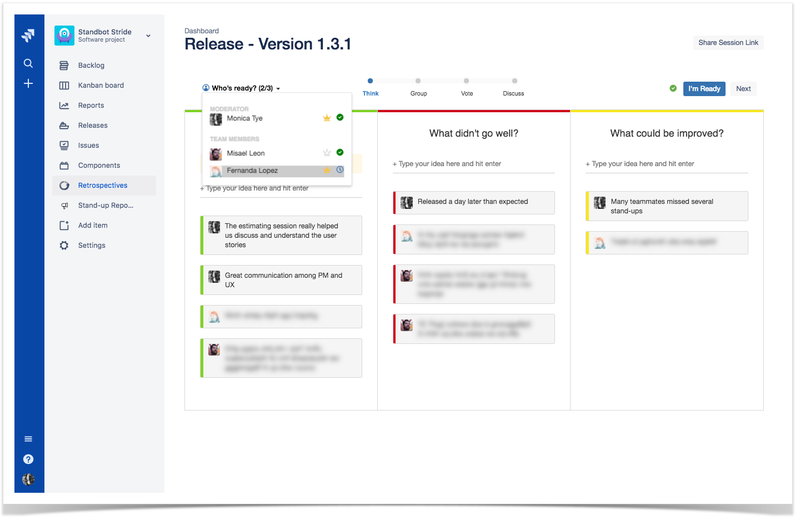 We’re back this week with an all-new list of Jira apps for you to try. 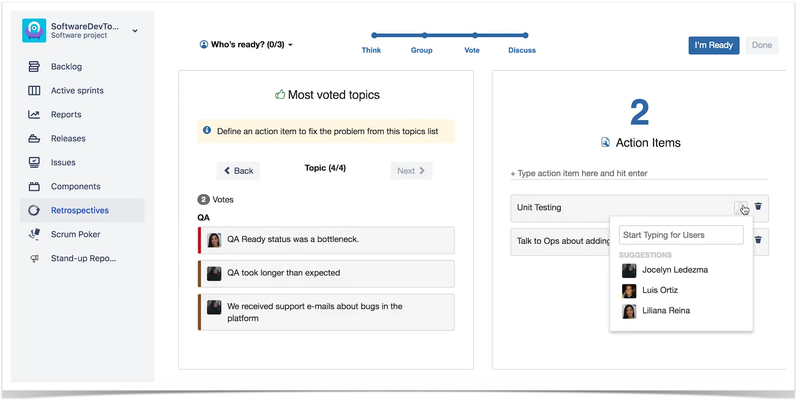 Plus, you can try the Jira apps released in the first quarter that may help your team work smarter. Check them all out and share your feedback with us. 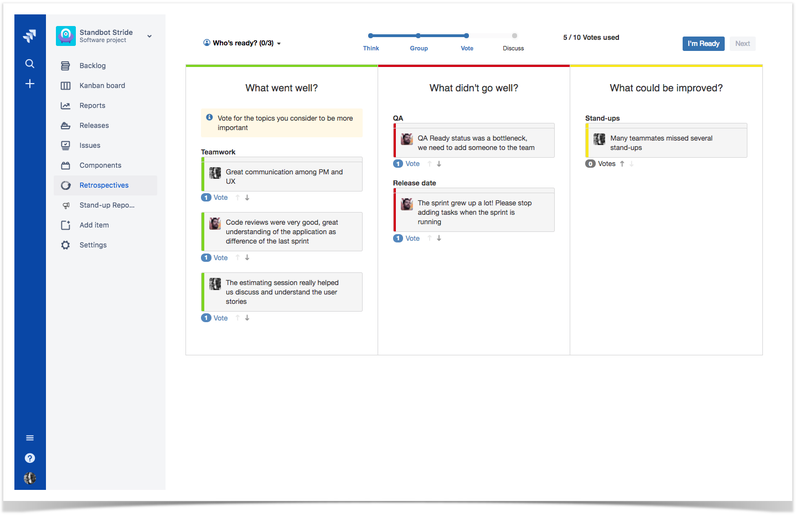 Improve your customer service — Chat for Service Desk – Chats to Issues for Jira Server by Spartez. Create advanced profiles of your Jira users — Enhanced User Profile for Jira Server by Empyra. Boost your team productivity — Great Gadgets for Jira Server by StonikByte. Get a powerful tree display — Tree CustomField for Jira Server by Slie. 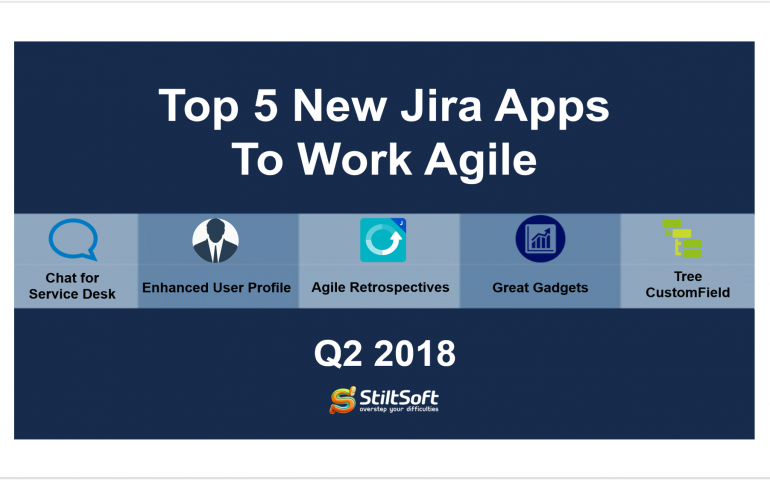 Save time & money — Agile Retrospectives for Jira Cloud by Nearsoft Inc.
We’re certain that any and all of these apps will make your life easier, and help you get the most out of your Jira. Chat for Service Desk – Chats to Issues allows you to integrate chat as an additional communication channel to Service Desk. When your customer starts a chat conversation, it automatically transforms into request and all new messages appear as comments in the Service Desk tickets. This handy app helps you keep all requests from your clients in one place. This app perfectly works within the customer service portal, on mobile screens, and on external web sites. The agent issue view allows your team to interact with the customers from within Jira naturally. Now your customer service reps can determine when they are visible online letting your customers know when you are available for chatting. You can maximally simplify the complex process of customer interaction with the help of this useful solution. Pricing: The price of Chat for Service Desk – Chats to Issues for Jira Server starts from $1,000 for 25 users and ends at $8,000 for 10,000+ users. 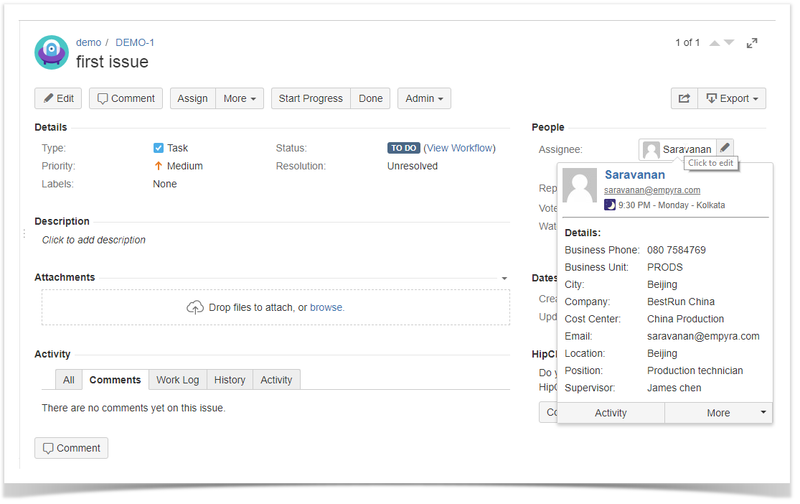 Enhanced User Profile for Jira helps you smoothly perform bulk operations with user profiles. 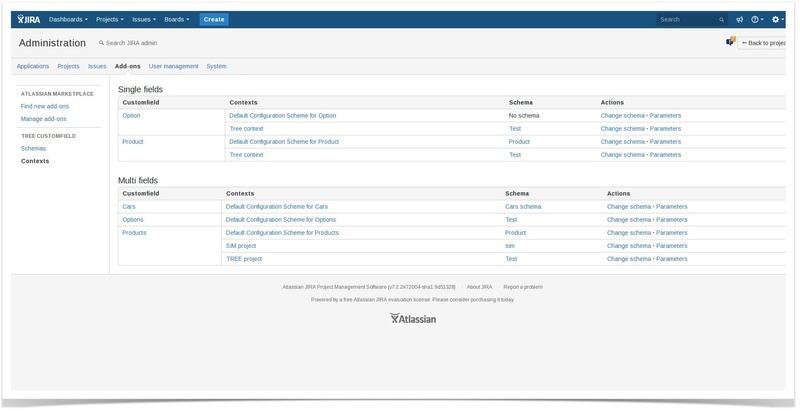 Now you can add and update your Jira users’ information and properties in bulk. You just need to upload a CSV file that contains the required information about new or existing Jira users. This way you can add phone numbers, emails, location, time zones, and any other information you want to have at hand. This app allows you to see the assignee and reporter details when you hover over the name of the user. This add-on can be useful for the teams who need to quickly access their users’ information. This tool lets you save the time you usually spend to find the required user details and easily browse through various user profiles. Pricing: The pricing for the Enhanced User Profile for Jira app starts from $65 for 25 users and ends at $1,320 for 10,000+ users. Great Gadgets for Jira Server provides you with the eight useful tools you can add to your agile dashboard. It contains gadgets that allow your team to organize their work and track the overall progress of the projects helping team members work together in the most effective manner possible. You can also use the time management tools this app has to assist you with managing time and making the most of it, for any business or personal situation. 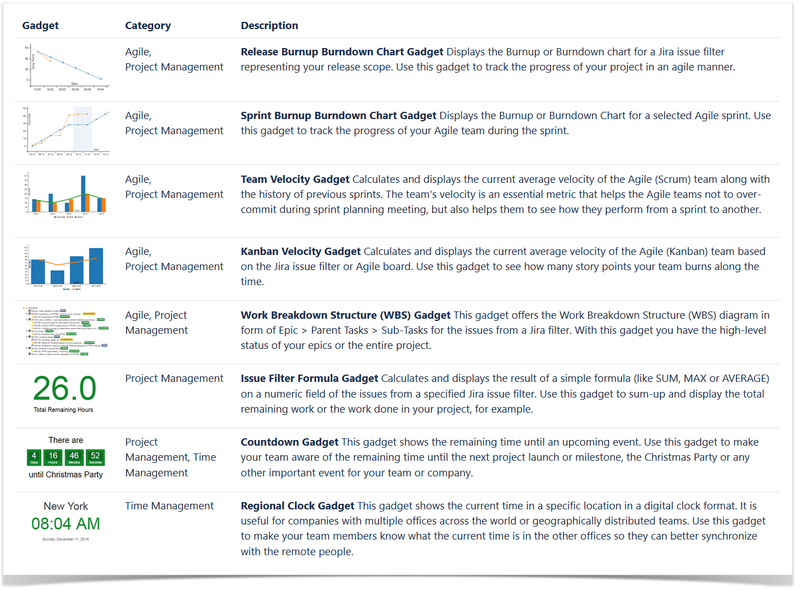 Add this handy gadgets to your Jira dashboard to boost the productivity if your team. Pricing: The price of Great Gadgets for Jira Server starts from $80 for 25 users and ends at $960 for 10,000+ users. 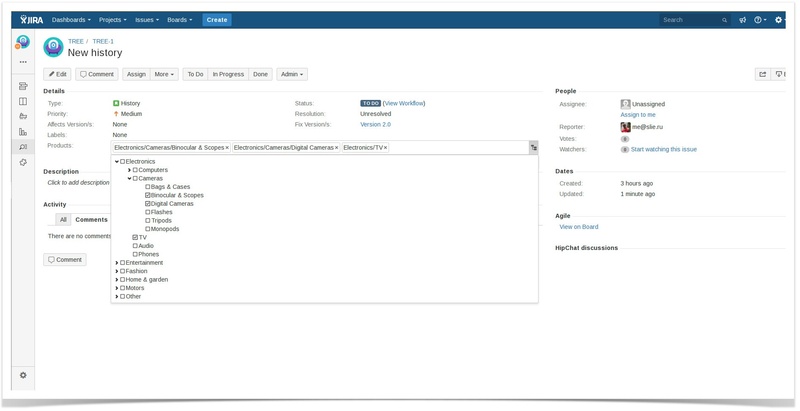 Tree CustomField is the app that allows you to see a tree display in your Jira tasks. This add-on allows you to easily create and sort options using the CustomField schemas. You can create as many options as you need and easily drag and drop them from one category to another. Moreover, you can set one Tree Schema for different fields. This app provides you with the single select and multi select field types. Pricing: The price of Tree CustomField starts at $130 for 25 users and ends at $2,640 for 10,000+ users. So once you’ve started the session, your colleagues can share their ideas on each column. If you have some ideas on the same topic, you can easily group them. When you’ve grouped all the inputs, your team members can vote for the ideas they like best. Now you can discuss the most voted topics and create action items based on your discussion and assign them to your colleagues. You can always come back to the session to review the progress. This app helps you focus on what really matters for your projects at them moment. Pricing: The Agile Retrospectives app price for Jira Cloud starts at $37/mo for 20 users and ends at $3,152.50/mo for 2,000 users. These were our favorites in the second quarter of this year. We think that these apps can help you boost the productivity of your team. You can try any of them for free and make your own choice.